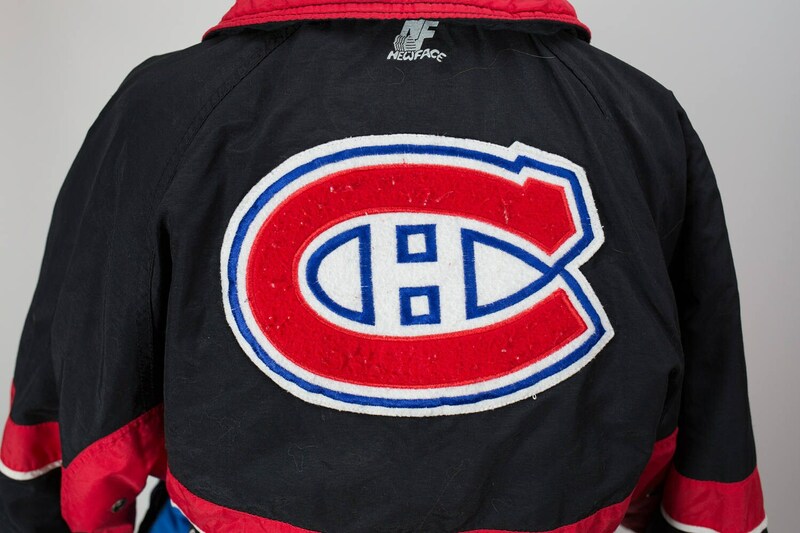 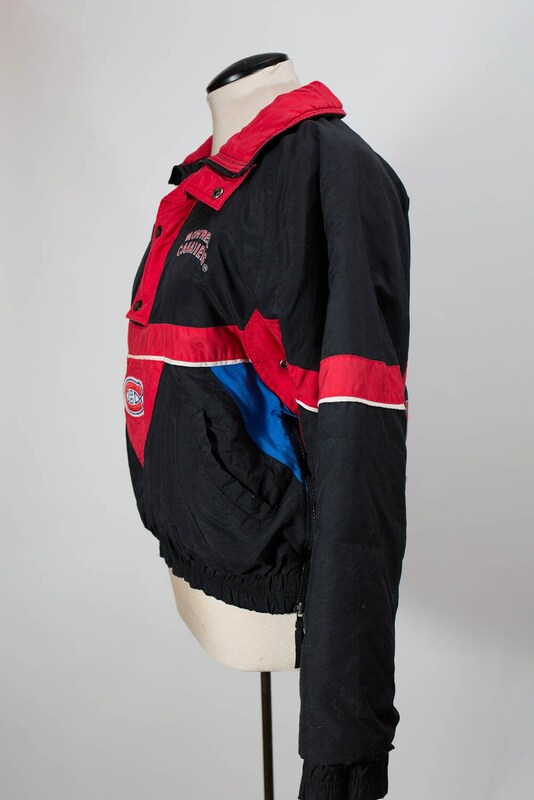 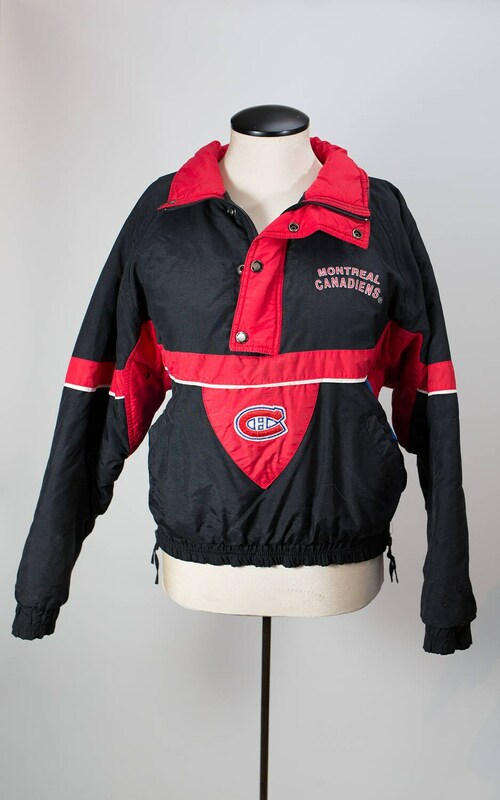 This is a awesome vintage Montreal Canadiens jacket. 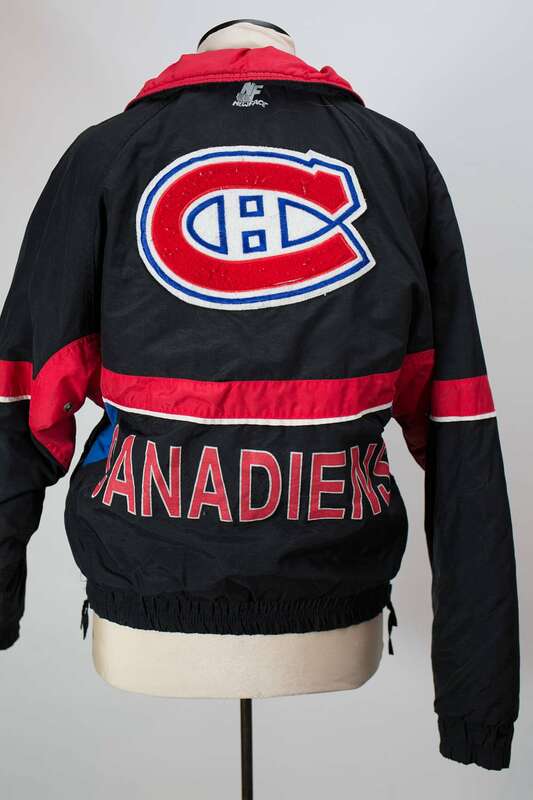 Features button up, side zipper and pockets. 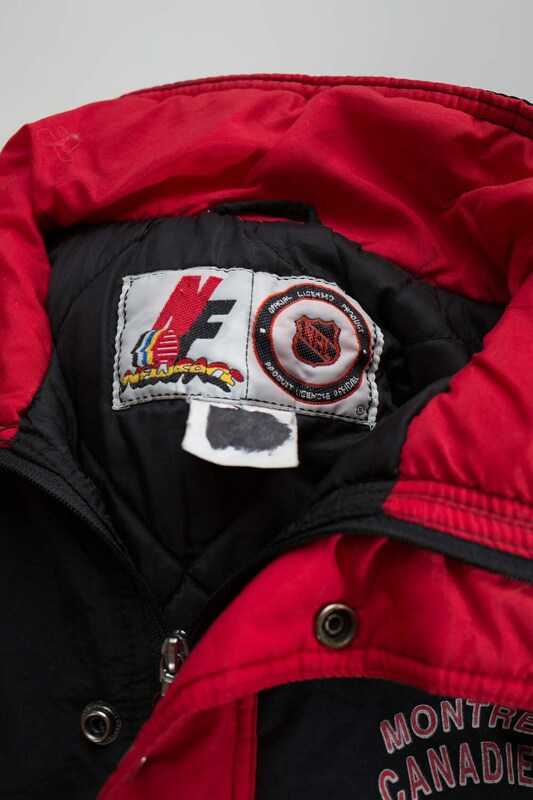 Length: 21 inches (top shoulder to bottom of jacket).